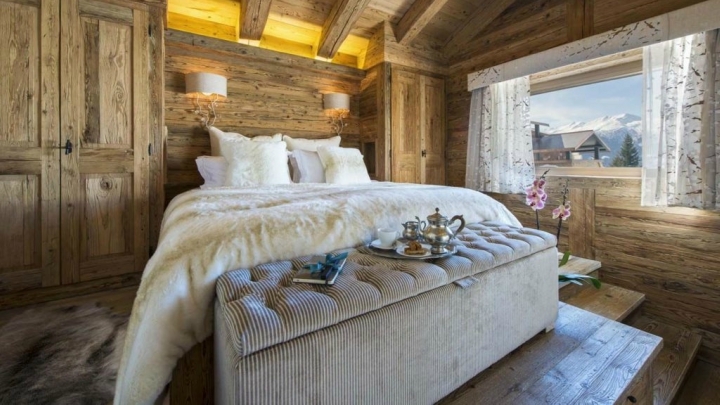 The bedroom is one of the most personal stays of the house. There are many ways to decorate it: you can bet on the vintage style, give it a minimalist touch or introduce a rustic design. Precisely the latter is what we are going to talk about today, giving your ideas so that your room acquires a unique personality through this type of decoration. As a starting point we can have clear some of its general characteristics; Now let’s see how to apply them. If there is an element that cannot miss in these types of rooms is the wood. If we reserve the lighter tones for the Nordic or vintage decoration, in this case you can bet on darker shades. You can use it on the floor, on the walls, on the ceiling beams … Or if you do not want to complicate yourself so much because you do not want to make a reform in the bedroom, you can simply put a frieze on one of them or a wooden headboard. If you add some decorative touches like the ones we mentioned before, the rustic style will have arrived at your house. The bed is the focal point of the room and therefore we must give it all the importance it deserves. Put blankets or comforters that give a very cozy feeling, because this style of movement takes us to a cabin in the middle of nature and that type of textiles make the space offers a very evocative image. Put a wool blanket on the foot of the bed, many cushions on it and bet on light and long curtains. Use natural fabrics such as cotton or linen. 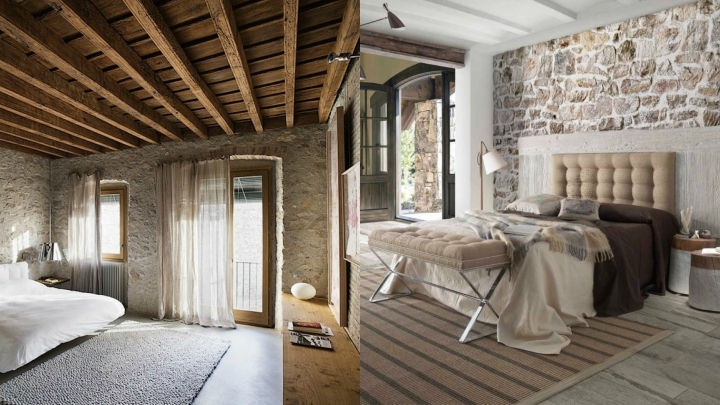 Another material that is wonderful in rustic bedrooms is stone. Place it only on one of the walls so that the effect is incredible, so you avoid saturating the room and the result is much more elegant and sophisticated. And combined with wood offers a very nice effect. 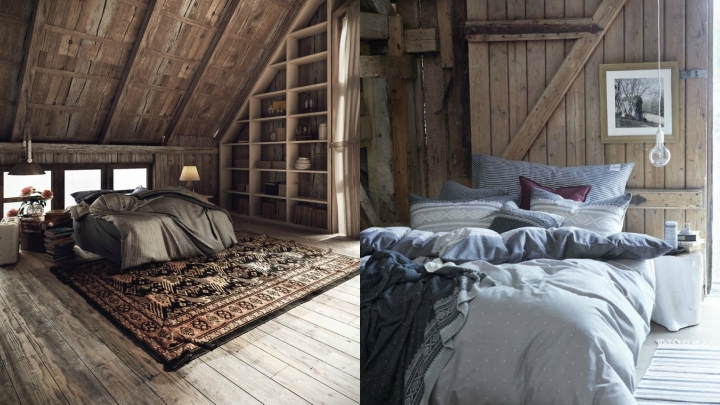 The colors with which you view your rustic bedroom can vary depending on the touch you want to give the room. For example, if the wood used is very dark you can “lighten up” the environment a little using lighter textiles. If the wood is lighter, the soft tones will also look great. If you want to maintain that connection with nature the earth, green and blue will be very flattering.